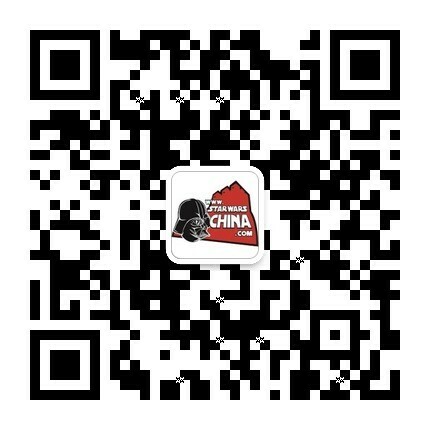 ﻿﻿ 卢克·天行者（Luke Skywalker） - Databank - 星球大战中文网 Star Wars China - Powered by Discuz! The path of a Jedi is often difficult, filled with conflict and pain. Luke Skywalker's life which began as a simple farmboy and saw him become the greatest hero the galaxy has ever known is an amazing example of this. Skywalker spent his restless childhood on the backwater desert planet of Tatooine, toiling away on his uncle's moisture farm. His guardians, Beru and Owen Lars, never told Luke of his true heritage. While Luke believed his father to have been a navigator on a spice freighter, he never suspected that Anakin Skywalker was once a famed Jedi Knight and incredible starpilot. Luke was born during the chaos as the galaxy transitioned from Republic to the tyrannical Empire. He and his twin sister, Leia, were secretly spirited away from his father and the Emperor. Luke was taken to live with Owen and Beru while his sister was taken to Alderaan to be raised by Viceroy Bail Organa. On his uncle's moisture farm, Luke learned the essentials of desert survival and droid repair. Boredom was not as scarce as water on Tatooine, and Luke often dreamed of adventure and excitement. He had a circle of friends who would loiter around Tosche station in Anchorhead when not occupied by their chores. Luke never quite fit in with his friends; they often teased him and called him "Wormie." Biggs Darklighter, though, was different and Luke considered him a true friend. Luke honed his piloting skills alongside Biggs in Tatooine's infamous Beggar's Canyon, racing his T-16 skyhopper. Biggs and Luke often spoke of joining the Imperial Academy. Despite his dreams, Luke was not allowed to attend. His uncle needed him on the farm, and so when Biggs went away to the Academy, Luke was stranded on Tatooine. Luke's life changed when his uncle purchased a pair of used droids from Jawa dealers visiting his homestead. The droids, Artoo-Detoo and See-Threepio, were Rebel property fleeing from the Empire. The Rebel droids led Luke on an adventure, uniting him with Obi-Wan Kenobi, a desert hermit and war hero whom Luke knew as Old Ben. Imperial forces in pursuit of the droids murdered Owen and Beru Lars and destroyed Luke's home. With nothing left on Tatooine, Luke decided to follow Kenobi. The wise man taught Luke in the ways of the Jedi Knights and the Force, ways for which Luke showed an affinity. Kenobi gave Luke Anakin's lightsaber. Luke and Kenobi hired the smuggling duo of Han Solo and Chewbacca for transit off planet. They were destined for Alderaan, to return the Rebel droids to their owner, Princess Leia Organa. They discovered Alderaan destroyed by the Imperial superweapon, the Death Star, and were taken captive aboard the monstrous station. There, Luke discovered that Leia was also held captive. Luke helped free the Princess from the clutches of the Empire. Using data stolen by Rebel spies, Alliance tacticians formulated an attack plan capable of destroying the battle station. Luke piloted an X-wing starfighter in the final attack against the Death Star, and fired the proton torpedo volley that, with the aid of the Force, destroyed the Imperial weapon. Luke eventually accepted a commission in the Alliance military, and achieved the rank of commander. On the new Rebel base on Hoth, Luke served as a scout on the frozen plains of the ice planet. While on patrol, Luke was injured by a wampa ice creature, and dragged to its lair. Using his growing expertise in the Force, Luke escaped. Han Solo eventually rescued Luke from the frozen wilderness. Luke then led Rogue Group's snowspeeder pilots in the delaying actions taken to hold off an Imperial invasion of Hoth. After narrowly escaping death by Imperial walker, Luke boarded his X-wing fighter with R2-D2 to leave the ice planet. Instead of going to the scheduled Rebel fleet rendezvous, Luke went to a planet mentioned to him by the spirit of Obi-Wan Kenobi: Dagobah. On the swamp planet of Dagobah, Luke learned the ways of the Force from Yoda the Jedi Master. Yoda honed Luke's Jedi abilities, but his training was cut short as Luke had to go rescue his friends on Bespin. Little did Luke know that it was all an elaborate trap devised by Darth Vader. Luke confronted Vader in Bespin's Cloud City, and was bested by him in a lightsaber duel. Luke suffered the loss of his hand, and the revelation that Darth Vader was in fact his father. 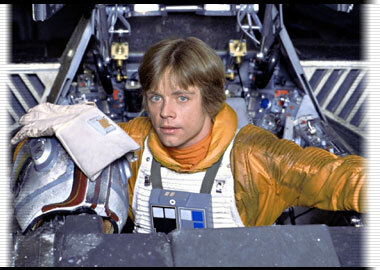 Luke was rescued from Cloud City by Leia, Chewbacca, and Lando Calrissian, and eventually returned to the Rebel fleet. Droid surgeons equipped Luke with a cybernetic replacement hand. Luke returned to Tatooine to construct his new lightsaber in the abandoned hut of Obi-Wan Kenobi. Luke concealed his Jedi weapon inside R2-D2. This was all part of the plan to infiltrate the palace of Jabba the Hutt and free the captive Han Solo. Sending the droids in first, Luke then challenged Jabba the Hutt for the return of Solo. Jabba refused, sending Luke to fight his hideous pit-beast, the rancor. Luke, Han Solo, and Chewbacca were then sentenced to death at the Great Pit of Carkoon. Artoo delivered Luke's weapon to him, and Skywalker was able to destroy the Hutt's forces and escape with his friends. Before returning to the assembled Rebel fleet, Luke went to Dagobah to complete his Jedi training. There, he found Yoda sick and dying. Yoda and the spirit of Obi-Wan Kenobi told Skywalker he had one trial remaining before achieving the rank of Jedi, and revealed the truth about his past. Luke found out that his father, Anakin Skywalker, had succumbed to the dark side and became Darth Vader, and that Leia Organa was his sister. For Luke to become a Jedi, he must face Darth Vader again. Once back at the Rebel fleet Luke joined General Han Solo's strike team to the moon of Endor. This team was to deactivate the deflector shield protecting the new Death Star from Rebel attack. Skywalker feared he was a danger to the strike team since his presence could be felt through the Force. Before leaving, Skywalker confided the truth about their relationship to Leia, and left Endor to face Vader one last time. Luke believed there was good in the Dark Lord, and that was why Vader offered Luke a chance to join forces rather than kill him outright. Luke turned himself in to the Imperial forces, and Vader brought his son before the Emperor on the Death Star. There, the Emperor planned to turn Luke to the dark side by goading his hatred and forcing the young Jedi to kill his father, thus sealing his future as the Emperor's student. The Emperor almost succeeded; in a fit of rage, Luke viciously wounded Vader. His thoughts and feelings recollected, Skywalker refused the Emperor's promised power. The Emperor, enraged, used the dark side to cast deadly lightning at the young Jedi. The Emperor almost killed Skywalker, but Darth Vader arose to save his son and hurl the Emperor down the Death Star's reactor shaft. Luke took his father's crippled body to the Death Star hangar bay. In his final moments of life, Vader ceased to be, and Anakin Skywalker, Jedi Knight, returned. Luke removed Vader's mask so that Anakin could see his son with his own eyes before becoming one with the Force. Luke then commandeered an Imperial shuttle and flew to Endor. He built a funeral pyre to commemorate the Jedi, and to destroy the Dark Lord's empty armor. He returned to the victorious Rebel Alliance, and could see the spirits of Obi-Wan, Yoda, and Anakin that night at the Ewok celebration. After the destruction of the Death Star, young Luke spearheaded a number of missions for the Alliance, seeking out a potential new world for the Rebels' hidden base. As he was eager to contribute, Luke's early years with the Rebellion were filled with adventure and heroics. He faced cutthroat pirates and bandits on the water world of Drexel, bizarre serpent riding slavemasters on a mysterious planet, and was almost duped by an Imperial plan that employed an actor posing as Obi-Wan Kenobi. While on a scouting mission, Luke's vessel was caught up in the hyperwash of a transdimensional cometary body, depositing him on a barren ice planet. Skywalker had inadvertently discovered what was to be the site of the Rebels' new base and after returning to the Alliance, he informed his commanders of this frigid world. In short order, the Rebels evacuated their outposts on Yavin and Thila, and set up base on Hoth. Accompanying Princess Leia on a diplomatic mission to the Circarpous system, Luke first came face to face with Darth Vader. The two were in pursuit of a powerful Force relic, the Kaiburr crystal, and dueled in the ancient Temple of Pomojema. Guided by the spirit of Obi-Wan, Luke held Vader off, and even managed to sever the Dark Lord's mechanical arm. Stunned, Vader tumbled down a deep pit, and their duel was interrupted. The aftermath of Hoth scattered the Rebels, and Luke was stationed at temporary bases on Golrath and Arbra. Ascending to the command of Rogue Squadron, Luke fell in love with one of his squadron-mates, the talented and enigmatic Shira Brie. During a heated battle, Luke's targeting computer was knocked out of commission, and he instead relied on the Force to pick his targets. Inexplicably, the Force told him to fire on a friendly vessel, and he shot Shira Brie out of the sky. For this, Luke was stripped of command and put on trial. Luke's confidence in the Force was shaken. He investigated the matter, and discovered that Shira was actually an Imperial agent. Luke cleared his name and was reinstated as an Alliance commander. With each passing year, Luke grew more powerful in the Force, and his exploits in the Alliance gained a higher profile. Following the Battle of Hoth, Skywalker found himself the target of numerous assassination attempts by the Black Sun criminal organization. The day after his ordeal at the Battle of Endor, while still recovering from the wounds inflicted by Palpatine's Force lightning, Luke commanded an Alliance mission to the Bakura system. The outlying Imperial world had been besieged by a strange alien force, the Ssi-ruuk, and Skywalker and Organa negotiated a truce between the Alliance and Imperial forces to help fight off this menace. The discovery of a Force-sensitive named Dev Sibwarra during the Bakura incident galvanized Luke's conviction for finding others like him in the galaxy. Palpatine and Vader's scourge was not absolute. Surely there were Force-users that had escaped the dark times. 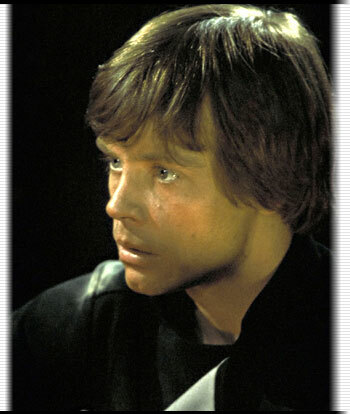 Luke spent the next several years following every lead he could to locate lost and hidden Force-sensitives. This led him to Dathomir, a world of mysterious and powerful Force-wielding witches. On this distant planet, he discovered the ruins of the Chu'unthor, an ancient Jedi training vessel. As Luke's search intensified, he was once again visited by the spirit of Obi-Wan Kenobi. Five years after the Emperor's death at Endor, Obi-Wan said his final farewell to Luke. His spirit would no longer remain with him. Skywalker, feeling alone, realized he was not the last of the Jedi, but rather, the first of the new. It was at this time that rumors surfaced of a Jedi Master hidden on the remote world of Wayland. Luke investigated, finding the insane Dark Jedi clone, Joruus C'baoth. Luke's compassion defeated his safety instincts, as he studied with C'baoth, and tried to draw him from the madness and grip of the dark side. C'baoth's insanity and evil was too deeply rooted to undo, and in his bid to mold Skywalker into his new dark side pupil, C'baoth did the unthinkable. Using Luke's severed hand recovered from Bespin by Imperial agents, C'baoth grew a clone of the young Jedi -- Luuke Skywalker -- and sent the mindless duplicate to kill Luke. Skywalker eventually defeated C'baoth and the clone. During this crisis, which played out while the Republic was besieged by the depredations of Grand Admiral Thrawn, Skywalker also met Mara Jade. A fiercely determined and highly skilled Force-sensitive warrior, Mara was once a trusted agent of Palpatine. She was one of Palpatine's "Hands," an elite assassin and agent who could hear the Emperor's call from across the galaxy. 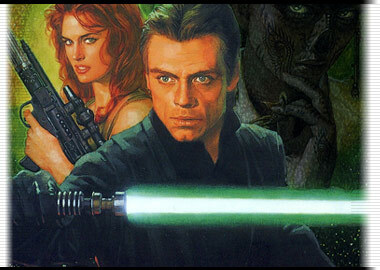 Jade held Skywalker responsible for the ruination of her career and purpose, and longed to kill him. Despite repeated opportunities, Jade did not kill Luke, and the two worked together to undo Thrawn and C'baoth's plans. Blunting her hatred for him, Mara developed a begrudging respect for the Jedi and his skills. Although Thrawn was defeated, his string of victories rallied the remaining Imperial warlords to stage a daring and violent stab at the Republic-held capital of Coruscant. Whereas Thrawn wanted to capture the capital intact, these Imperials attacked without restraint and ravaged the once gleaming metropolis-covered planet. The Republic retreated and Skywalker commanded a number of missions into the Imperial-held world. Stranded on Coruscant, Luke began to discover strange clues in newly opened secret chambers throughout the former Imperial Palace, clues to the Emperor's power. Before he could piece together their significance, a raging Force storm appeared in the sky. The swirling vortex of dimension-altering energy consumed Luke, and deposited him far away on the Deep Core world of Byss. There, in an ornate citadel, Luke faced an enemy he had not ever expected to see again: Emperor Palpatine. Palpatine had long been staving death away by using arcane Sith knowledge and cloning technology. Palpatine would grow clone duplicates of his bodies to act as receptacles for his evil life force should his body die. With this technique, Palpatine had escaped death time and again. He called for Skywalker to kneel before him and become his apprentice. Skywalker, realizing that the Emperor was almost invincible, knelt before him, and agreed to join the dark side. Like a few others in recorded history, Luke believed he could defeat the dark side from within by learning its secrets. He had neglected one of Yoda's key teachings -- never underestimate the power of the dark side. Skywalker, consumed by the darkness, found himself unable to break away from its pall. Though he succeeded in covertly sabotaging a number of Palpatine's plans, he could not bring himself back to the light. With the help of his sister, however, Skywalker was able to turn against his master. Together, the Jedi twins were eventually able to defeat Palpatine once and for all. Given the growing dangers in the galaxy, Skywalker felt that the New Republic needed a new order of Jedi serving and protecting the populace. He proposed to the government that a new Jedi academy be started with himself as its head instructor. The Republic agreed, and Luke began searching for Jedi candidates in earnest for training in the Great Massassi Temple on Yavin 4. There, Skywalker returned the Jedi order to the galaxy, and undid the damage done by Palpatine and his father decades ago. His students in turn became masters, and a new generation of Jedi Knights arose. Luke's alliance with Mara Jade grew into admiration, then affection -- emotions that were reciprocated. About a decade after their initial hostile encounter, Luke and Mara Jade were married on Coruscant. Now, Luke's new Jedi order is facing its greatest challenge. Without the sage governance of a Jedi Council, the new Jedi Knights lacked unity and focus. Many were accused of reckless vigilantism, and the Republic citizenry began to grow leery of their protectors. Into these uncertain times rampaged the Yuuzhan Vong, alien invaders that breached New Republic space, bent on conquest. The Jedi became the first line of defense for the Republic, but their failure to repulse the brutal aliens was widely reported. Inexplicably, the Yuuzhan Vong do not exist in the Force, thus the Jedi were robbed of their most powerful abilities against this new foe. The Yuuzhan Vong took specific interest in the Jedi, proclaiming them the worst of a galaxy full of infidels. Many in the New Republic began to turn against the Jedi in an effort to appease the Yuuzhan Vong and blunt their destructive incursions. Organizations such as the Peace Brigade betrayed the order, and began rounding up Jedi captives for the invaders. The Jedi academy on Yavin 4 was destroyed by the Yuuzhan Vong. It was as if the dark times of Palpatine's ascent had returned. Throughout it all, Skywalker maintained a veneer of carefully measured action, sparking criticisms of being distant, aloof and too passive. Dissension in the Jedi ranks spread as the more proactive Knights -- like Kyp Durron -- urged direct confrontation against the enemy. Luke was resistant to such action, for fear that too aggressive a path would lead his Jedi to the dark side. Skywalker engineered an underground fugitive network, dubbed the Great River, and a secret haven called Eclipse, to protect the beleaguered Jedi Knights. With his beloved wife temporarily afflicted by a Yuuzhan Vong-engineered disease, and his closest friends forever scarred by the violence, Skywalker found that not even a Jedi Master could keep galactic events from striking close to his heart. During these war-ravaged years, Mara became pregnant and gave birth to their son, Ben Skywalker. Keeping his newborn child safe became a paramount concern. A chilling vision of the dark side brought Luke to the heart of the Yuuzhan Vong-held Coruscant. In the depths of the altered city planet, Luke face off against Lord Nyax, the deranged mutated Dark Jedi that once was Irek Ismeren. Surviving a tremendous Force battle at the site of the old Jedi Temple, Skywalker concentrated his efforts on restarting the Jedi Council. To do so, he had to enter the nebulous world of politics. Backing a pro-Jedi candidate, Luke saw Cal Omas elected Chief of State of the newly formed Galactic Federation of Free Alliances. Together, they resurrected the Jedi Council, which now included both Jedi representatives and members of the New Republic government. The best chance for ending the conflict was to locate the rogue planet Zonama Sekot. Eventually, the rogue living planet was found. Skywalker proved his worth and the peaceful intentions of his Jedi Order to Sekot, and the planet agreed to provide assistance. Jacen and Jaina Solo then accompanied Luke to the surface of Coruscant to stop Supreme Overlord Shimrra. Upon entering Shimrra's throne room, they were beset by over a dozen deadly Slayers. Luke confronted Shimrra himself used paired lightsabers to sever the Supreme Overlord's huge head from his body. With the efforts of Jacen Solo, who was able to channel the Force as he had never done before, the Jedi were able to defeat the true power behind the Yuuzhan Vong throne, and bring an end to the conflict. The galaxy enjoyed a few short years at peace, during which time Luke focused on the quandaries presented by differing Force philosophies introduced in the Yuuzhan Vong War. He also found that his son, Ben, was hesitant to use the Force. The young boy had lived much of his life at times of war, when use of the Force was a necessity in combat. Ben seemed to shy away from any use, but he did open up around his uncle, Jacen Solo, and Luke allowed Jacen to foster a close relationship with his son. Following the Swarm War, Luke realized that he had to return to Ossus and dedicate more time to the Jedi Order. He resigned his position within the Galactic Alliance government and removed all positions formerly held by Jedi as he concentrated on reestablishing the Jedi Order. Recognizing that divergent opinions had stymied the Jedi in the past, Luke pronounced himself as Grand Master of the Jedi Order in order to wield ultimate authority in times of conflict and indecision. An uncharacteristic move by Skywalker, it was nonetheless welcomed. In the years that followed, Luke worked to ensure that the Jedi were able to meet the needs of the growing Galactic Alliance. When Thrackan Sal-Solo threatened to have the Corellian System secede from the Alliance, Luke found himself questioning the allegiance of the Jedi. The war that erupted between the Corellian insurgents and the Galactic Alliance forced the members of the Jedi Order to destroy Corellian fighters to maintain the stability of the government. These actions, coupled with Jacen Solo's turn toward the dark side of the Force, gave Luke and Mara cause for great concern for their son Ben, who was Jacen's apprentice. Luke's fears were heightened when he realized that Lumiya, the Dark Lady of the Sith, was the Sith Master corrupting Jacen. Mara soon died in a confrontation on Kavan, although Luke remained unaware that Jacen Solo was the murderer. In a move that treaded perilously close to the dark side, Luke set out to hunt down Lumiya and avenge his wife's death. On Terephon, Luke beheaded her after a struggle. However, upon meeting up with Ben, Luke realized that he had killed the wrong person. In the wake of Mara's funeral, Luke turned his attentions to Jacen and his mercurial motives. When Jacen arrived at Kashyyyk and began attacking the planet to force the Wookiees to turn over fugitive, Luke flew his StealthX fighter up to Jacen's flagship and infiltrated it to confront his nephew. Inside a secret chamber, Luke found his son, Ben held prisoner and tortured by Jacen. Luke drove Jacen to the ground and freed Ben, who drove a vibroblade into Jacen's back. Luke and Ben voyaged to the Forest Moon of Endor, where the Jedi Council established a hidden base of operations. Still in anguish over the loss of his wife, Luke was shaken from his depression by bonding with his son. Ben was determined to prove Jacen Solo's guilt in the murder of his mother, but he planned to do so not out of vengeance, but out of justice. He used his Galactic Alliance Guard training to methodically piece together the evidence that ultimately pointed to Jacen. With his new resolve, Luke set in motion two assaults. The first, led by Jagged Fel and Kyle Katarn, was dispatched to rescue Allana, Tenel Ka and Jacen Solo's daughter whom Jacen had kidnapped. The second, led by Luke, Han and Leia, was tasked with destroying Centerpoint Station, thereby eliminating it as a weapon that could be used against the galaxy. Luke also made secret entreaties to Cha Niathal, admiral of the Galactic Alliance fleet who had grown wary of Jacen. Niathal armed Skywalker with information vital to upsetting Jacen's plans to take the starship yards at Fondor. The Jedi then moved their base from Endor to the safety of the Transitory Mists, where Luke hoped that the Jedi could regroup and find a way to bring Jacen Solo -- now Darth Caedus -- to justice. Jaina Solo was preparing to fulfill her destiny as the "Sword of the Jedi" and bring an end to Caedus, a feat that Skywalker was hesitant to risk due to his edging of the dark side with the killing of Lumiya. The character of Luke Skywalker changed greatly during the evolving story of Star Wars. Early versions of Luke were a grizzled war hero of 60, a Jedi Master that would blend the qualities of both the classic-era Obi-Wan Kenobi and the prequel-era Qui-Gon Jinn. 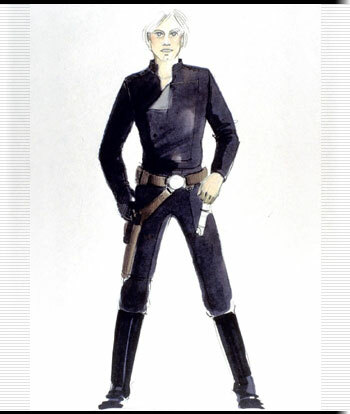 The daydreaming farmboy that plunges into a galaxy of adventure was a role filled by Annikin Starkiller in these early drafts. At one point, Luke was even a female character, merging the aspects of both Luke and Leia. Even when he had finally evolved to the recognizable character we know today, he was known as Luke Starkiller. His name didn't change until revisions to the fourth draft of Star Wars. Early on in the Star Wars publishing campaign, the books and comic strips bore the subtitle "From the Adventures of Luke Skywalker." Luke, being the central character to the classic trilogy, is probably the one most featured in expanded universe literature. 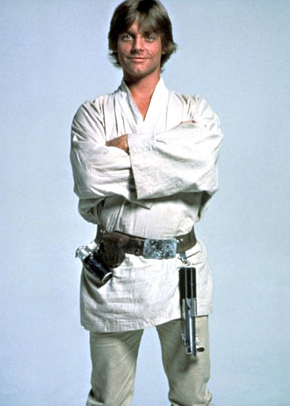 Mark Hamill played the role of Luke in the Star Wars trilogy, and provided the voice of Luke in the first two National Public Radio Dramatizations.